You are here: Home / Loving Nature / Waz – SUP? 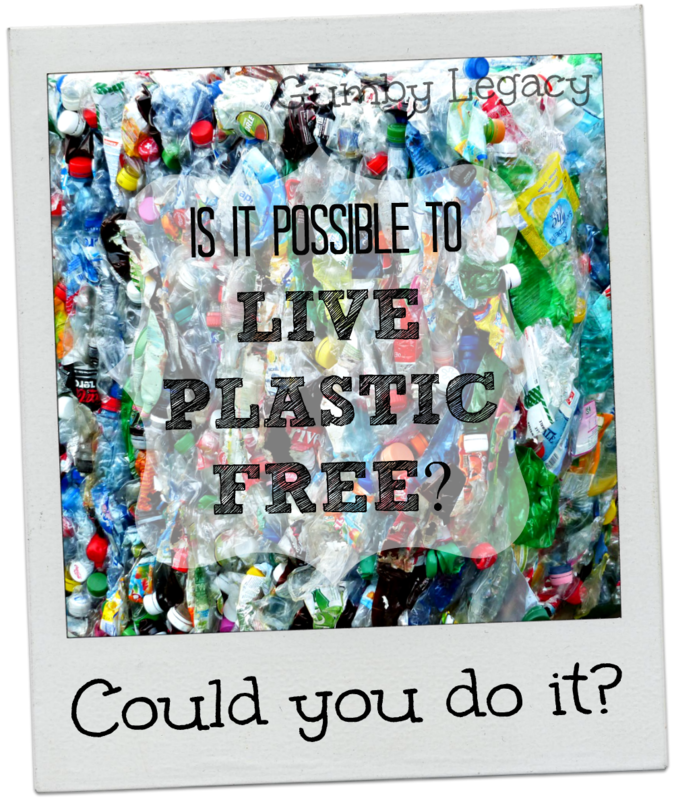 Is it possible to live Plastic Free? Otherwise known as single use plastics. Have you ANY idea how much these are used in your every day life? Do you even know what they are? I have to admit, before this week I had never heard the term. What are some of the activities you might do first thing in the morning? Hop in the shower where there are plastic bottles galore with shampoo, shower gel, moisturisers, deodorant, make – up etc. Again, plastic may actually be in some of these products. Have some breakfast. Toast is surely harmless enough? NO: bread came in a plastic bag (as did the ingredients to make it), margarine or spread is in a plastic container, the metal lid on your jam is lined with plastic too. Some fruit? Probably came in a plastic bag or handy plastic punnet. AAAHHH!! And this could all be before 7 o’clock in the morning! I haven’t even mentioned all the plastic involved in getting the kids up and ready for the day with nappies, wet wipes, cereal and packed lunch goodies. There are people trying to fight this plastic overload. Quite a few in fact but no where near enough. Education and awareness is key with this issue as I think many people (myself included) have honestly never given it much thought. The Marine Conservation Society have teamed up with SingleUsePlastics.co.uk to develop a Plastic Challenge for the month of June. Initially I thought great. Sounds like a plan. I can give that a go. The more I have thought about it and read up on SUP living, the more I realise this could practically be mission impossible for us as a family at this stage of our lives and I would literally be setting myself up for (another) epic challenge fail! The problem with plastic is absolutely GINORMOUS!! It would be so easy to be like my husband (Captain Sensible) and just ignore the problem. His actual response when I said about attempting the challenge was that I was being daft. That I was going back in time because the government is already doing things about reducing plastics. They recycle in many areas and councils have targets to achieve. You have to pay for plastic carrier bags at the shops in many countries, Wales included so in his mind (and maybe other people’s?) the problem is being tackled head on. Yes, plastic carrier bag use may have been decreased but there are still plastic bags floating around the oceans and clogging up turtles intestines. I am sure South Africa still has a very colourful array of the ‘often – spotted – plastic – bag’ trees I remember from my childhood? Yes, some plastics are recyclable but what about all the energy, chemicals and toxins that are poured into the environment when they are initially made? Then again when they are broken down? Yes, some plastics are biodegradable and obviously that’s much better as it doesn’t then sit around for years and years but so much of it still does not properly degrade and it all takes time so what harm does it cause in the meantime? For those of you in the UK, did you know that in 2013, only 24% of the more than 5 million tonnes of plastic produced, was recycled. I’d bet money on the figures not being much better this year. In SA and many third world countries, there are ingenious projects that have been developed for people to make a living from turning waste products into beautifully hand crafted items but even that can only use a fraction of the world’s plastic rubbish. I strongly feel that any effort made with regards to cutting down on the use of SUP’s is better than nothing. Even if it is just a few items we never hardly ever use again or if it’s one day a month or week that we make a conscious effort to use no SUP. Yes, it might not change the world but it could be making a difference to something. The few hundreds of SUP’s that we don’t use could result in one less piece of rubbish making its way to the ocean. One more turtle surviving long enough to have babies. 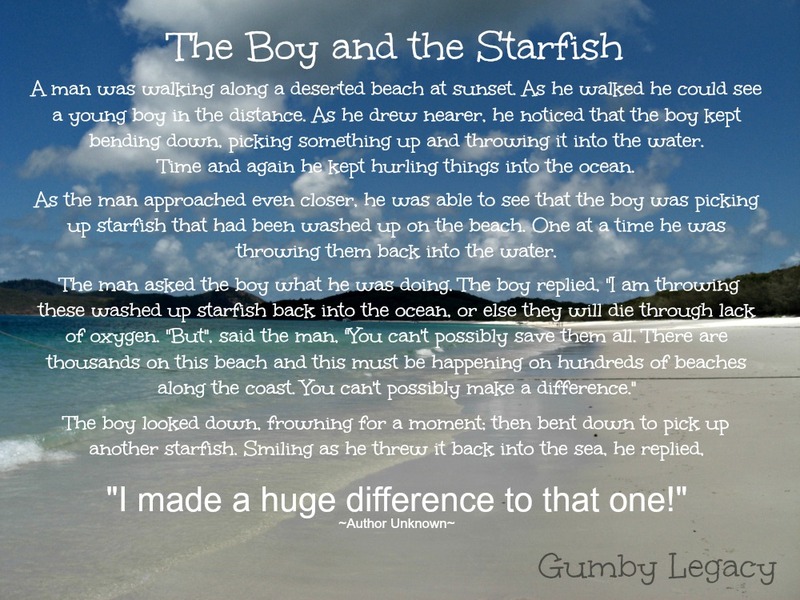 Have you heard about the boy and the starfish? Pie in the sky? Maybe. But I’m not willing to do nothing. It might not work but at least our kids will know that we tried. No idea where to start? See here for some ideas to get started. No matter where you are in the world, you can do this! Even if you pledge not to buy bottled water for the month you will be making a start. Actually, that ties in nicely with the H2Only Challenge starting on the 2 June. The idea is to drink only water for 10 days. Don’t think too much about it, pop down your ideas and your pledge to cut down on your use of SUP’s in the comments section and just get started. I will keep you up to date with how we cope and any useful links and tips I find.